A flown spacesuit from an ISS mission, a navigational globe from an Soyuz mission in the 1970s, lunar navigation charts from Apollo 11, and a 1963 training module used by astronauts in the Gemini program are just a few of the space history items going up for auction today. Bonhams is putting up a nearly 300 space history items for sale at 1pm EST. A lot of the collection is made up of models, signed photos, artwork, and documents—most of which look pretty fascinating. But there’s also some genuine treasures in there that, frankly, would be a shame to see completely disappear into a private collection. My favorite item is a collection of plaster casts used to make the astronaut gloves of NASA’s early spacesuits, including those of Neil Armstrong and Buzz Aldrin. But there’s also the Gemini training module which was used by astronauts in 1963 to learn how to maneuver spacecraft, a lunar navigation chart that once belonged to Buzz Aldrin, a spacesuit worn by astronaut Don Pettit during his return flight from the ISS in 2003, as well as a navigational globe used by Soviet cosmonauts in 1975. What’s especially exciting is that these things don’t cost millions of dollars. 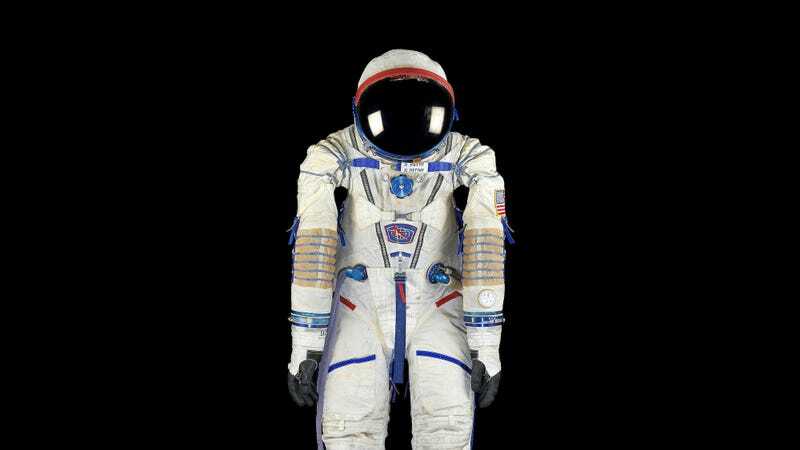 While extremely awesome ones, like the spacesuit, are expected to fetch upwards of $25,000, price estimates on some of the smaller items are as low as $150. Regardless of the price, whomever buys these items will hopefully put them on display for all to see.